The Islamic State group launched a deadly counter-offensive on Wednesday to repel US-backed forces advancing on a final jihadist-held pocket of eastern Syria, a monitor said. 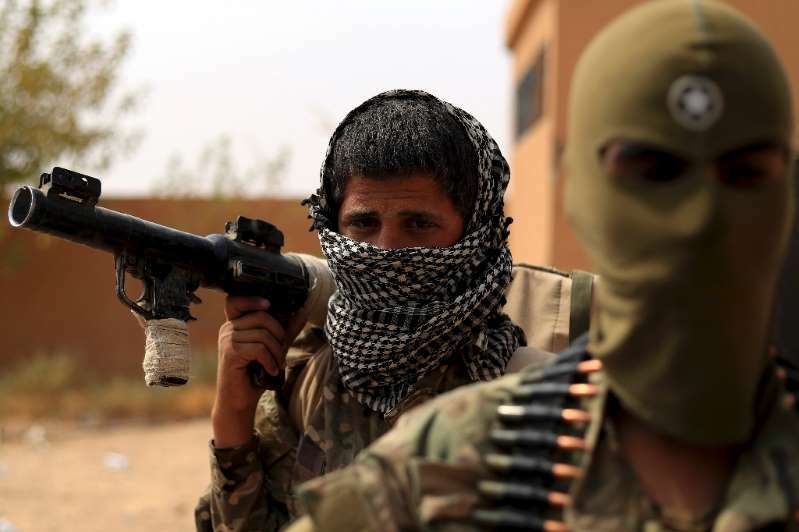 The IS fighters managed to take hostage several dozen fighters from the US-backed Syrian Democratic Forces, according to the Syrian Observatory for Human Rights. The SDF, a Kurdish and Arab alliance, has been waging a month-long assault backed by US-led coalition air strikes to oust IS from a small area in Syria's eastern Deir Ezzor province, including the town of Hajin. On Wednesday, IS launched "a counter-attack against SDF positions around Hajin and nearby towns," the Observatory said. "Violent clashes subsequently erupted and are still ongoing," said Observatory head Rami Abdel Rahman. He said IS had killed at least 10 SDF fighters and taken another 35 hostage. The SDF denied any of its fighters had been captured during the attack. "No fighter from the SDF was captured by Daesh on the Deir Ezzor front. This information is not true," SDF media official Mustefa Bali told AFP, using the Arabic acronym for IS. IS published a statement on its social media accounts on Wednesday describing an attack by "soldiers of the caliphate" against SDF forces. The Observatory said IS jihadists had taken advantage of a sandstorm raging in the remote Deir Ezzor province to attack SDF fighters, who could not be protected by coalition warplanes due to poor visibility. In one month of fighting for Hajin, at least 139 SDF fighters and 267 IS jihadists have been killed, the monitor said. Hundreds of foreigners have joined the YPG to fight IS. On Wednesday, the force announced that a French national fighting among its ranks had been killed near Hajin. Farid Medjahed, born in the French city of Marseilles, died on October 6 fighting IS there, the YPG said. It did not say when he arrived in Syria but said it had only been a "short stay". In February, the YPG announced that three European nationals had been killed in clashes in Syria.